Dealers Casino is approved and regulated by the respected gaming authority from Malta! DealersCasino.com is an online gambling platform and casino owned by EM Online ApS that has been awarded full approval and endorsement by the Malta Gaming Authority (MGA). The Malta Gaming Authority is Malta’s is one of the most respected regulatory body when it comes to governance and oversight of the country’s online gambling and gaming industry. The Malta Gaming Authority‘s primary function and role is to protect online casino players. The function is also to ensure that their legal rights as both consumers and citizens are honoured, observed and upheld. DealersCasino.com is committed to providing customers with the best online gambling experience possible, an experience which is enjoyable, fun, and exciting but also safe. Obtaining a seal of approval from the Malta Gaming Authority, as well as the formal recognition of our efforts to put our customers first, was extremely important to us as a company, and naturally it is something we are incredibly proud of. On this page, you will be able to find detailed information about the Malta Gaming Authority and its purpose. You will learn all about exactly what kind of governance, oversight and regulations DealersCasino.com is subject to. You will also learn exactly what industry guidance and rules we have to adhere to. Are there any other details or more specific information that you would like but cannot find on this page? You can always dedicated and polite casino support staff are always available to answer your questions. The Malta Gaming Authority is one of the most respected and reputable governance bodies in the online casino and gaming industry. The Malta Gaming Authority’s credibility exists in large part due to its governance role. They operates as a single, unified and unitary regulatory body. Malta Gaming Authority‘s strategy to further, promote and realise these goals, the body is committed to ensuring that the legislation governing best practice in the online casino and gaming industry is fit for purpose. In a world where the pace of technological development is so fast and unrelenting, regulators and regulations must be responsive and equipped to meet the challenges posed by such a dynamic and constantly evolving sector. It is a big challange to be an effective and successful within such a fluid environment. The Malta Gaming Authority has hadto focus on technical proficiency. This technical approach has allowed the Malta Gaming Authority to be adaptable with its regulatory methods and strategies, and keep up with the fast-changing technology that drives the online casino and gaming industry. The gaming sector has a huge presence in Malta and has grown to become one of the biggest and most lucrative sectors in the country’s economy. In a global context, online casino and gaming operators based in Malta now account for approximately 10 per cent of all the world’s operators. When you consider Malta’s diminutive size in comparison to other countries and their overall economies – a small Mediterranean archipelago that only has a total population of less than half a million – this is both a remarkable and spectacular achievement. This is also despite an extremely low profile calendar of sporting events that actually take place within the country itself. Malta’s prominence and significance as a major player in the global online casino and gaming industry is not up for discussion. This position has led to it being afforded the privilege of playing host to one of the global online gaming industry’s biggest events – the Summit of iGaming, Malta (SiGMA). Exhibitors who have participated at the SiGMA event have included online casino and gaming companies. The participants list includes casino companies such as Aspire Global, NetEnt, Microgaming and many other industry leaders. Malta’s hosting of such an esteemed and prestigious event is a great thing. An event where the leading iGaming companies, journalists and fans flock to see the latest innovations and products. This is a mark of Malta’s status and how important it has become within the sector. iGaming and online casinos in particular have experienced a huge surge in growth and popularity around the world. Over recent years this success has shown no sign of diminishing. 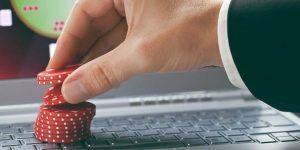 Although traditional on-site casinos will certainly always have their place in the entertainment industry, the sheer pace of technological advancement, change and expansion in both computing and the internet have given the online casino and gaming industry an unprecedented level of impetus and momentum. The widespread use of 3G, 4G, and Wi-Fi connections, combined with the ubiquitous rise of smartphone, has completely revolutionised the industry. Just 10 years ago, a person would have to physically be on site at a casino or bookmakers to play. But in today’s digital world, someone can play from anywhere, at any time, and through the power of a smartphone they can literally have a casino in their pocket. 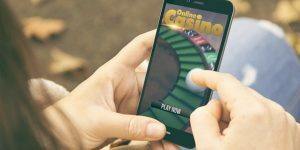 Inevitably though, the rise of the online casino and gaming industry has raised new dilemmas, issues and questions for lawmakers and regulators. New technologies and the products they create invariably test established and existing governance, laws and regulations, and this is no different in the case of online casinos and gaming. In order to keep up with such a dynamic and fast-evolving industry there are challanges which needs to be solved. Regulators have to be able to mirror the same agility, adaptability and flexibility in their own operations, just like the companies they seek to govern. The Lotteries and Other Games Act was introduced in 2001. The specific purpose of meeting the regulatory needs of this challenging new environment is to develop a governance framework that would be tailor-made for the unique problems posed by the online gaming industry, as opposed to applying measures and standards that were designed for the static casinos of a non-digital age. – Safeguarding of the legal rights of online gaming customers. – Protection of minors and those who are deemed to be vulnerable persons. – Ensuring that online gaming remains untarnished by criminal activities. – Promotion of responsible online gaming and a safe environment for gamers. – Ensuring the data integrity and security of online games and gaming devices. – Undertaking research related to the online gaming industry. – Approval of applications and the awarding of licences related to online gaming. – Collection of online gaming taxes on behalf of the Maltese Government. – Support of philanthropic and charitable causes. – The monitoring of licensed online gaming. – Maximising the online gaming industry’s contribution to Malta’s wider cultural, economic and social development.